Add a sense of effortless glamour to any room with this classic Hollywood Regency style coffee table. 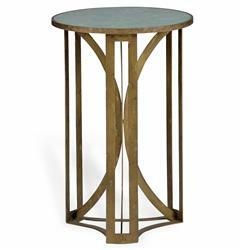 Antique brass and marble finishes add a subtle, lux touch while the curved details within the base create a fluid, feminine appeal. Perfect for deco inspired rooms.